The Life of Mo: Happy Valentine's Day! Happy Valentine's Day! 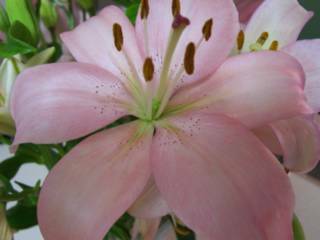 Enjoy the pretty pink lilies that I brought home from church.